Owing to the rich industrial experience and expertise in this business, we are engaged in providing Step Iron. We offer our customers step iron which is made of good quality raw material. 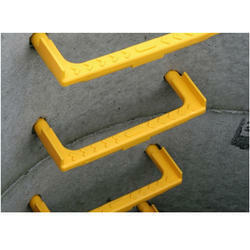 Step Iron / Manhole Steps can be supplied either Galvanized or un-galvnized as per customer's requirement. These are supplied as per BS427 specification and all popular sizes are available. We are instrumental in offering a wide range of Step Iron to our clients. We offer step iron which are Corrosion Resistant with the steel bar completely encapsulated in resilient polypropylene plastic, the steel is completely protected from corrosive elements. The polypropylene is resilient to acids and other chemicals that are present in sewers and drains. Manufacturer & Supplier of Step Iron. Our product range also comprises of Cast Iron Products, Valve Products and Housing Products. 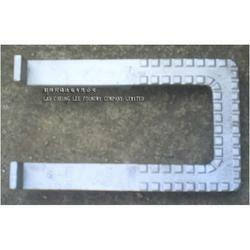 We are the manufacturer and exporter of iron step.